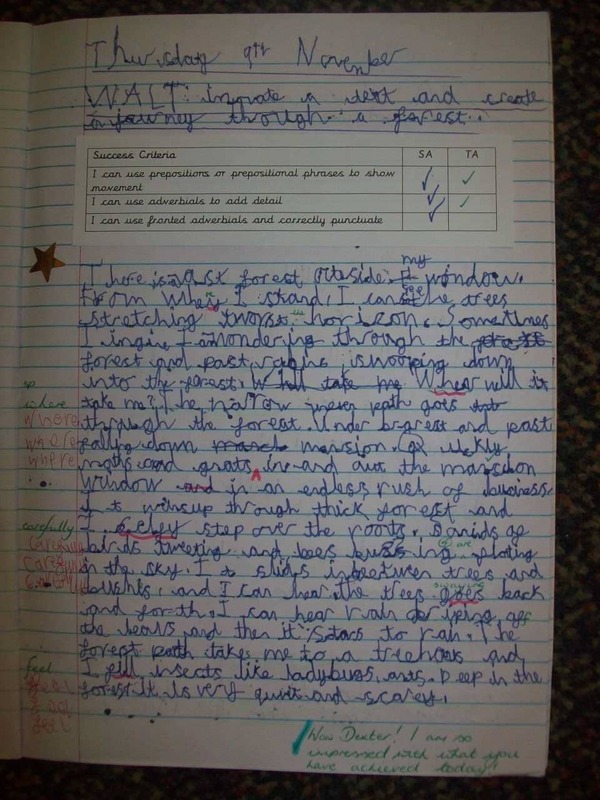 Dexter is making so much progress in his writing – he has gone from writing just a few lines to writing a whole page! 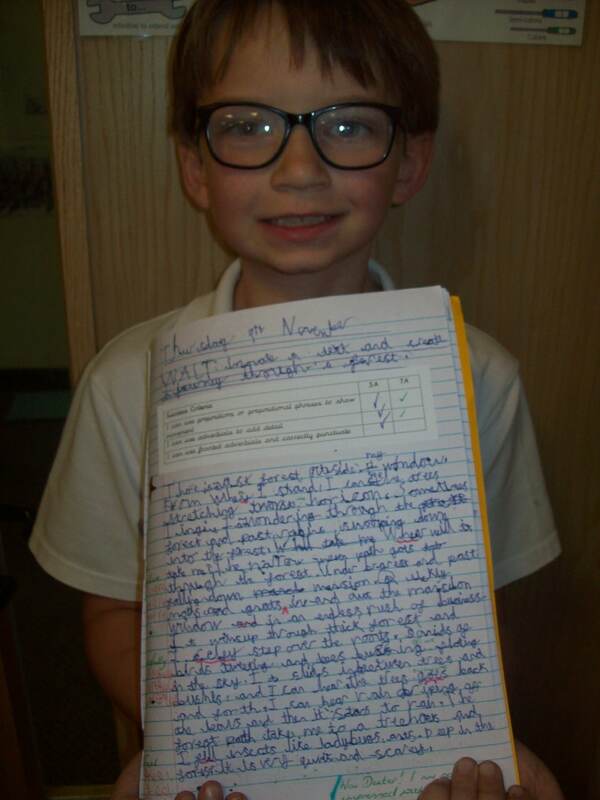 He has persevered and challenged himself to achieve his personal writing target to sustain his writing for longer and is beginning to write at length. Our current book ‘A River’ – about an imaginary journey from the city to the sea – has captured Dexter’s imagination and I can’t wait to read his final piece. This is his innovate write about a journey through a forest.